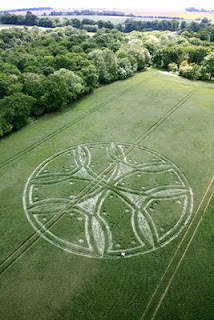 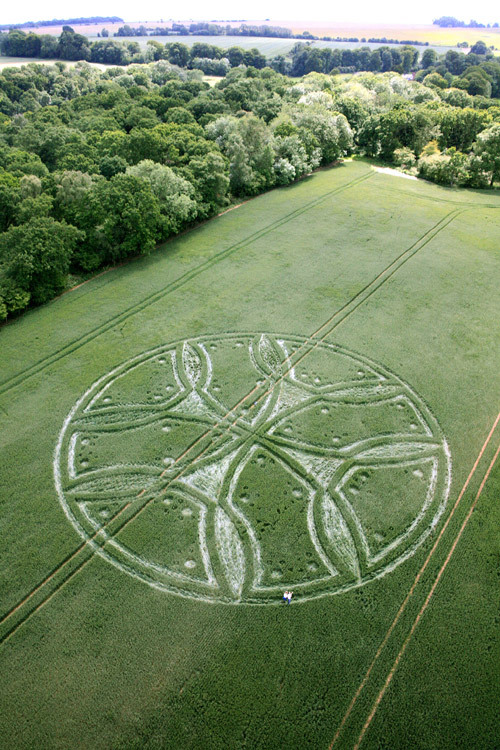 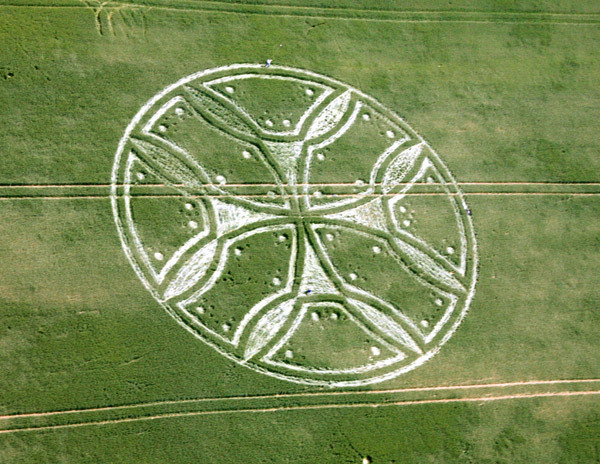 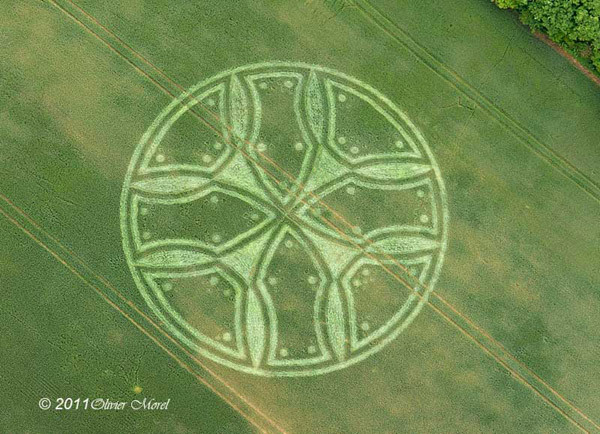 This formation was reported at Westwoods, near Lockeridge, Wiltshire on the 21st of June 2011. 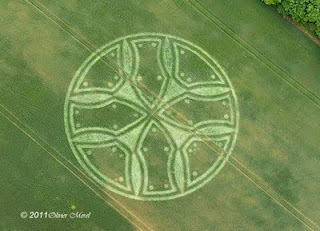 Looks much like beginning of the flower of life symbol to me..though I wonder if this was spinning..would it look like a bi-hazard symbol? 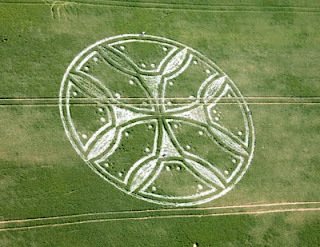 not aliens, unless we are the aliens.... Are we?